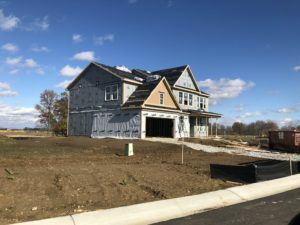 Want to build a new home in Center Grove? You have a new option! Morningside by Lennar Homes is now available. If you’ve driven down State Road 144 just west of downtown Bargersville recently (perhaps after tasting one of my favorites- an Exemption – at the Taxman Brewery), you may have noticed this new neighborhood taking shape. This area is booming! Center Grove is even building Walnut Grove Elementary School nearby in anticipation of the increased growth. 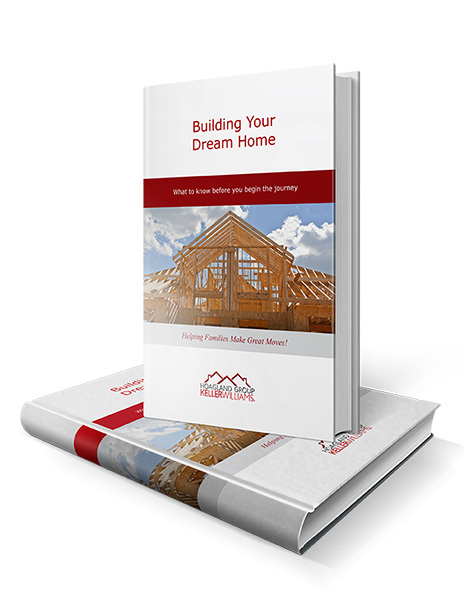 Related Article: What Happens When You Buy New Construction? Lennar is new to Center Grove, but they have been building homes since 1954. They are currently located in 21 states and 49 of the best markets in the country. Lennar recently bought CalAtlantic Homes…which had recently purchased Ryland Homes. Ryland developed several popular neighborhoods around Center Grove including, Brookhaven, Smokey Row Estates, and Cobblestone. These communities are now complete, so we are excited to share that Lennar is opening a new 400 lot community called Morningside in Center Grove. We recently spent several hours with the Lennar crew getting the lowdown. We thought you might be interested in what we learned. new to the Indianapolis market and we are excited about the value it offers our clients. Every home comes standard with features such as solid surface counters, tile floors, 9’ ceilings stainless appliances, finished garages (and more) – all upgrades with most builders. Your new home will even come with a high end home automation system! Everything’s Included® allows the builder to buy high end finishes in bulk and pass the savings along to the buyer. We are amazed at the quality of the features and the affordability. We think you will be too! Morningside is a planned community with winding streets, mature trees, Amenity Center (pool and playground) walking trails and access to the new Bargersville Kephart Park coming soon. Bellshire is a low maintenance community of free standing ranch homes. Don’t enjoy or have time for yard work and landscaping? For the reasonable fee of $135 a month your outdoor chores will be handled for you. Prices start from the $260’s with three models to choose from including options for a basement and finished 3 car garage. If you want more time to enjoy your weekend, Bellshire may be for you! Fairhaven is nestled around the Amenity Center (swimming pool and playground) and is Lennar’s Cornerstone Homes collection. 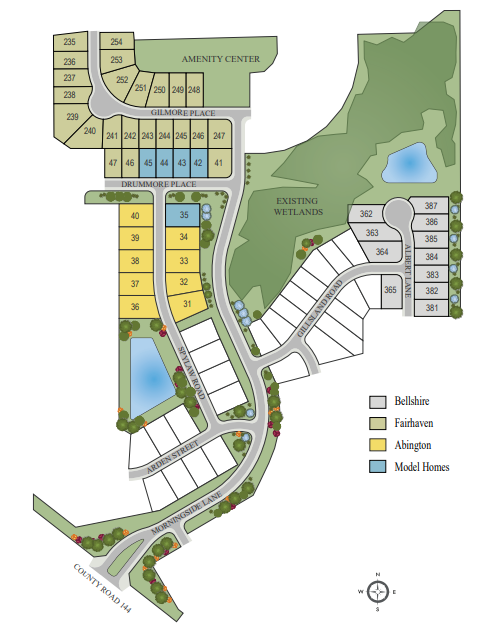 There are 10 different floor plans to choose from, both ranch and two level homes, with prices starting around $250K. Homes range in size from about 1800 to 3500 square feet. Abington is Lennar’s Estate Home collection, offering spacious higher end homes on larger lots. This community is located adjacent to the planned Kephart Park. Select from 9 models, ranch and two level homes, ranging in price from the $320’s to $400K. 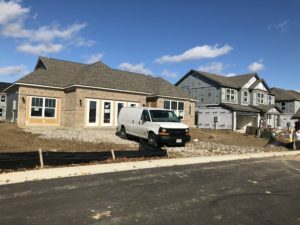 Model homes for each community are currently under construction along with several “ready now” homes. The sales office won’t be available to visit until the middle of December, but if you are interested or have questions, give us a call. We have more details. Our contact at Lannar has shared that they would like to get a bunch of homes started this winter – and they are willing to make a deal to sweeten the pot. We are also on their “Insiders” list so we get a call when they are extra motivated to make a sale! If you are considering building a new home in Center Grove, let’s get together and make a plan. Your new home awaits and the best lot sites are yours for the taking!